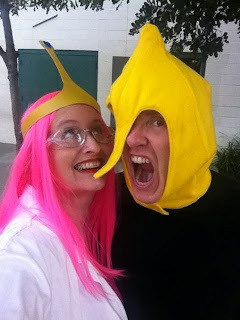 This year the boys wanted to be Adventure Time characters for Halloween - my younger son was Finn, my older was Jake, I was Princess Bubblegum (in her lab coat wearing incarnation since I already have a lab coat and a pink skirt and I'm all about reusing things) and my husband was the Earl of Lemongrab. 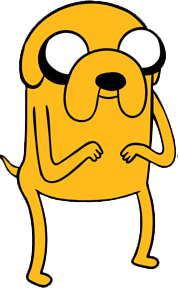 I made a Jake hat a while ago and got a sweatshirt and pants in almost the same color. And we already had a Finn hat, shorts and t-shirt so all I really needed to do was make the lemon head for the Lemongrabs costume, a lemon belt, Finn's backpack and Princess Bubblegum's crown. So for October's bags and purses accessories challenge I made the Finn Backpack! For the backpack I used a simplified version of a pattern my friend Twila drafted and was kind enough to send me. It's made of 2 layers of fleece with a decorative button and a velcro closure. 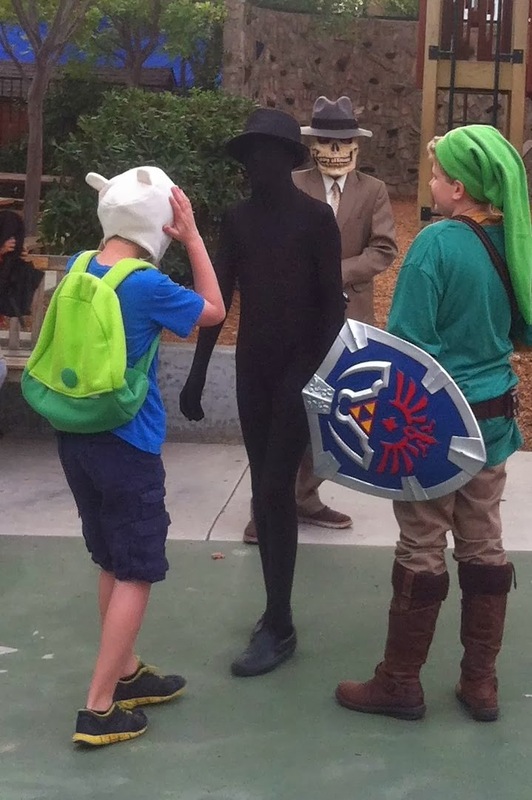 I wanted him to be able to put stuff in it but don't plan on having anything heavy or using it like a real backpack. I made my husband's Lemongrabs head by modifiying the hood on this wolfman costume pattern to include a long pointed nose and a lemon-y shape. I used two layers of felt for this and wired the nose tip with millinery wire. I bought a fake lemon from Michaels and cut it in half then hot glued it to a wide ribbon for the lemongrabs belt. The Princess Bubblegum crown was made by cutting and shaping a piece of wonderflex to look like the crown, wiring the part that sticks up with millinery wire, painting it and gluing a gem onto it.